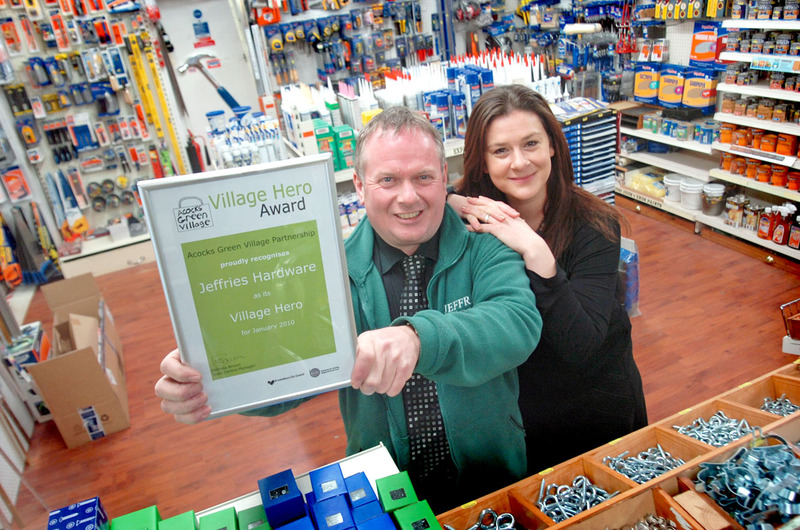 Following on from Jeffries Hardware winning the first ever ‘Village Hero’ award, our Village Partnership wants to know who you think should be crowned our next Village Hero. The competition is now open to anyone you think makes a valued contribution to life in the Village be it a trader, organisation, service or individual. This entry was posted in Events and tagged Acocks Green, Ian Jeffries, Jeffries Hardware, nomination, town centre manager, Village Hero. Bookmark the permalink.